Nikon, Canon, and Pentax lead the list of fine, classic 1960s and 1970s SLRs. Olympus and Minolta follow closely. An easy case can be made even for Konica, Fujica, Mamiya, and Yashica. But Miranda seldom makes the list. 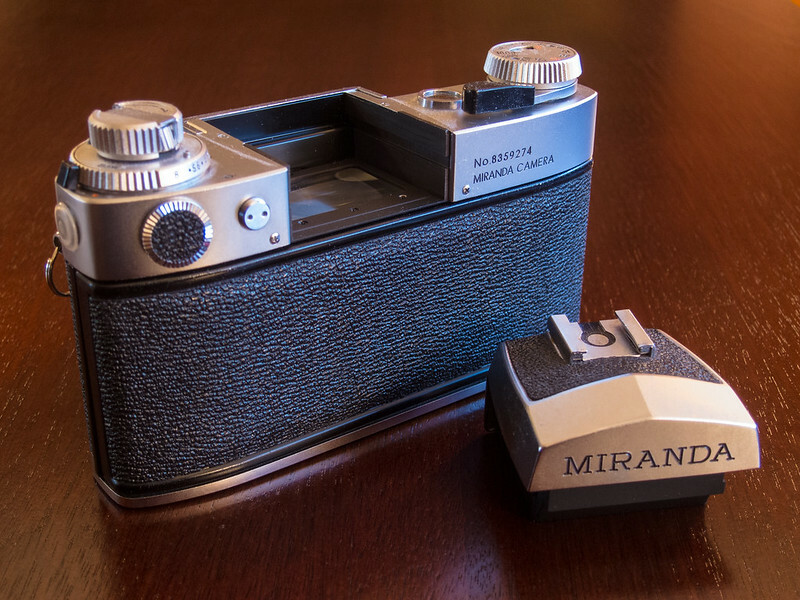 It’s too bad, because from 1955 to 1978, Miranda made some wonderful, but quirky, 35mm SLRs. But because Miranda is an overlooked brand, its cameras can be picked up today for a song. Meet my 1972 Miranda Sensorex II, which was delivered to my door for all of $38.50. The Sensorex II’s first quirk: the shutter button is on the face of the camera, not on the top (as with 99.9% of all SLRs). What a useful choice: as the camera is already braced against the face, pressing a button toward the face probably reduces the chance of shake. When I shot this camera, however, I frequently reached for a nonexistent button atop the camera. Old habits die hard. A quirk you can’t see is the dual lens mount: screw and bayonet, both Miranda-specific. Miranda shipped this camera with the bayonet-mount 50mm f/1.8 Auto Miranda lens, but didn’t want to alienate any Miranda loyalists who already owned Miranda 44mm screw-mount lenses. M42/Pentax screw mount lenses don’t fit; I hear adapters were made. 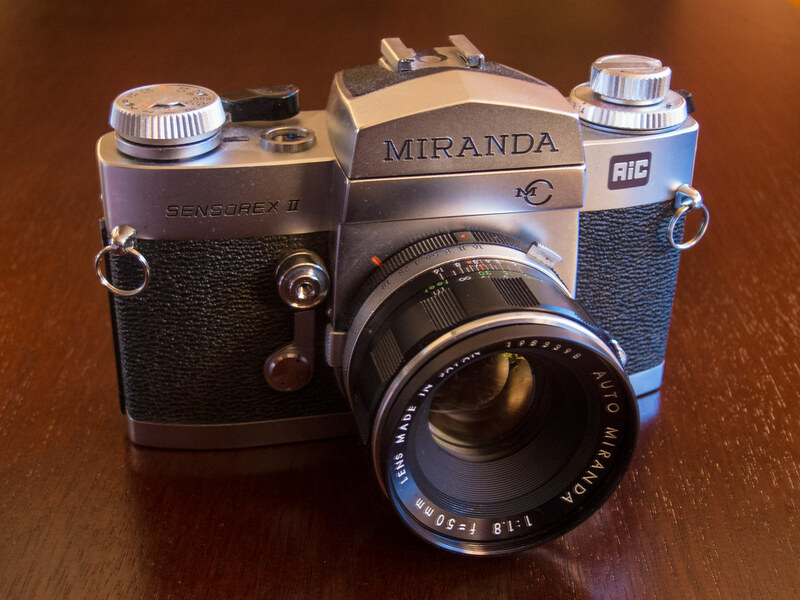 Miranda cameras had offered open-aperture, through-the-lens light metering for several years when the Sensorex II was introduced. Many SLR makers were still trying to catch up as late as 1972 and were still making cameras that used stop-down metering. But Miranda’s system was predictably quirky, accomplished through an odd coupling arm. You can see it in the photo above on the left of the lens barrel. 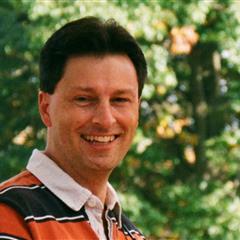 Part of the system requires you to tell the camera your lens’s maximum aperture. You do that by turning the knob under the rewind knob: 1.8 for an f/1.8 lens. The viewfinder is refreshingly bright. It’s because the lens stays wide open until you press the shutter button, when the camera closes the lens to your selected aperture. The Sensorex II’s meter averages light readings across an odd pattern, sort of a U that fills most of the bottom 2/3 of the frame. I’m sure this means that a subject will be accurately exposed only when it’s metered in that space. This weird metering pattern was a limitation of placing the meter behind the mirror, rather than in the prism housing as in most SLRs. But keeping the prism housing free let Miranda offer its most quirky feature: interchangeable viewfinders. A range of waist-level and reflex-style viewfinders clip right in. You can even use the Sensorex II with the viewfinder removed, although the screen is far too small for my middle-aged eyes. The Sensorex II is otherwise quite conventional, offering match-needle exposure, split-image focusing down to 17 inches, depth-of-field preview (the button on the top left of the lens barrel), a horizontal-plane shutter that operates from 1 to 1/1000 sec, and the ability to take film from ISO 25 to 1600. This camera is heavy and well made. Everything works smoothly and elegantly. 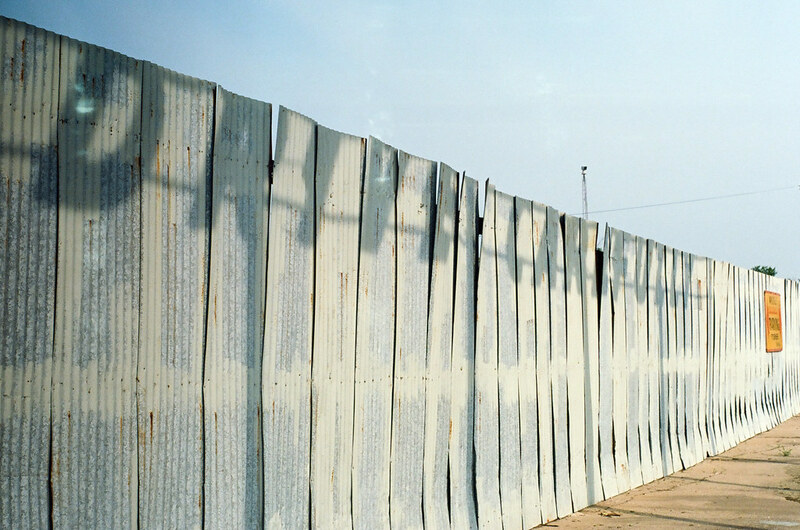 Seriously, this is Nikon F2 territory. A 1.35-volt 675 mercury battery powers the meter. The manual is emphatic that other batteries must not be used. What’s one to do when the required battery has been banned for years? I used a 1.55-volt SR44 battery, as it is the same size. People say that the voltage difference leads to misexposures, but with the color negative films I normally shoot it’s never been a problem. By the way, if you like odd old film SLRs, check out my reviews of the Konica Autoreflex T3 (here), the Pentax ES II (here), the Sears KS-2 (here), and the Canon FT QL (here). Or check out all of my camera reviews here. 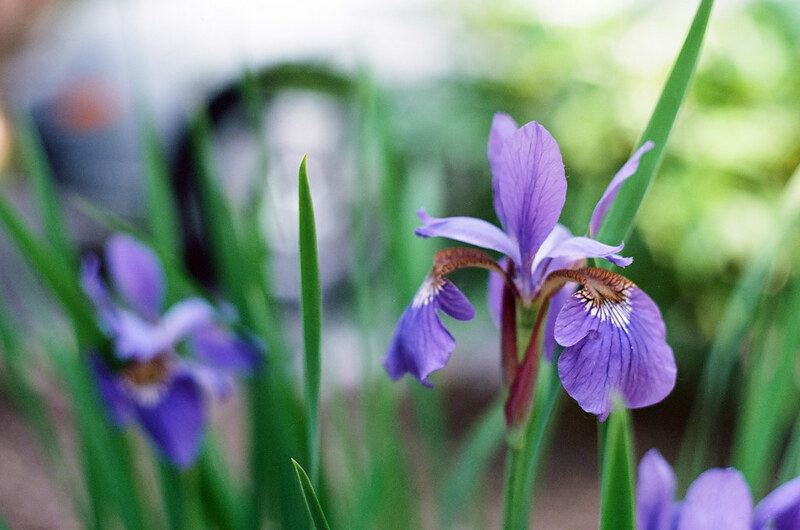 To test this camera I shot Kodak Ektar 100. 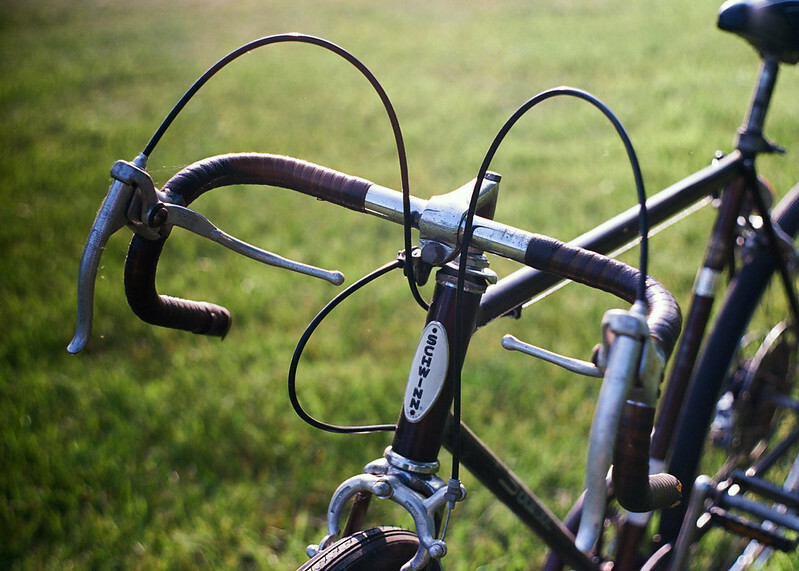 Meet the handlebars of my 1973 Schwinn Collegiate five-speed. It’s my favorite shot from the roll. Here’s my bike, out standing in its field. That’s some wicked flare, but I was shooting toward the sun. I wasn’t going for this effect, but I liked how it turned out anyway. 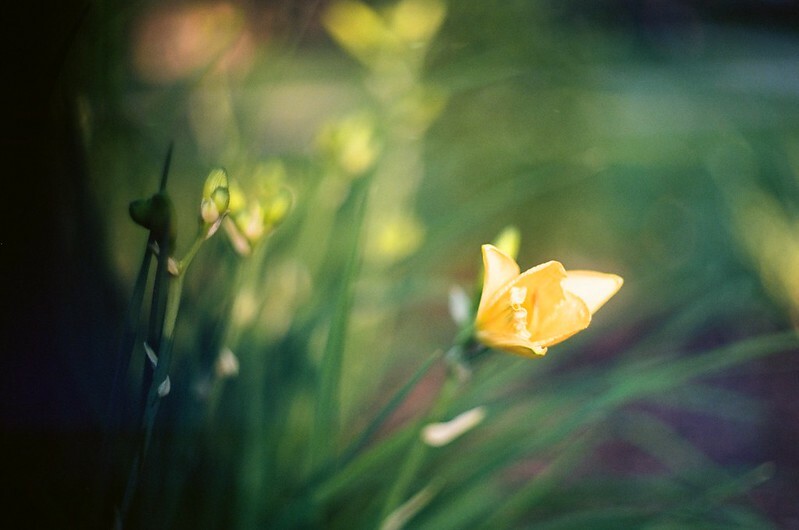 When I moved in close to the first daylily to bloom in my front yard, I opened the lens wide to get shallow depth of field. I never anticipated such smeary bokeh. I think I like it, but I think I wouldn’t always want this effect. 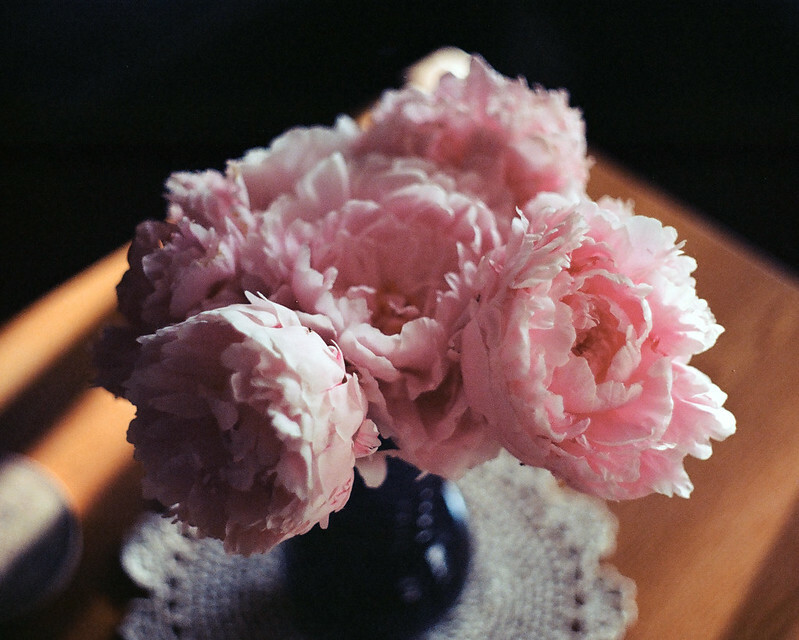 I also shot the lens wide open to capture these peonies I had cut into a vase and placed on my coffee table. Then I moved in as close as the lens would let me to this Liberty bell replica in a cemetery near my home. 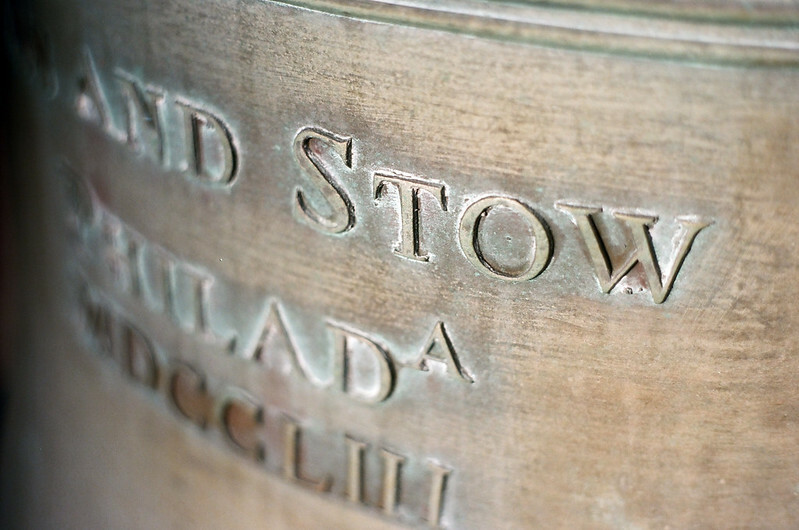 The letters in STOW are knife sharp. Bokeh is more conventional when shooting at less than wide open. I shot this at about f/4. 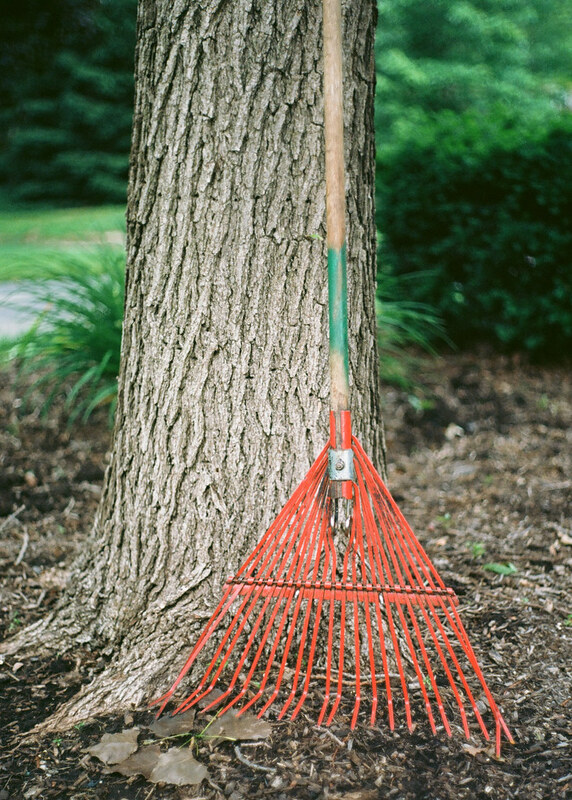 The rake belongs to the crew that removed my ash trees. They left all sorts of equipment lying around overnight during the job, but cleaned up very well after themselves when it was over. I also took the Sensorex on a walk along Georgetown Road, which is under reconstruction. 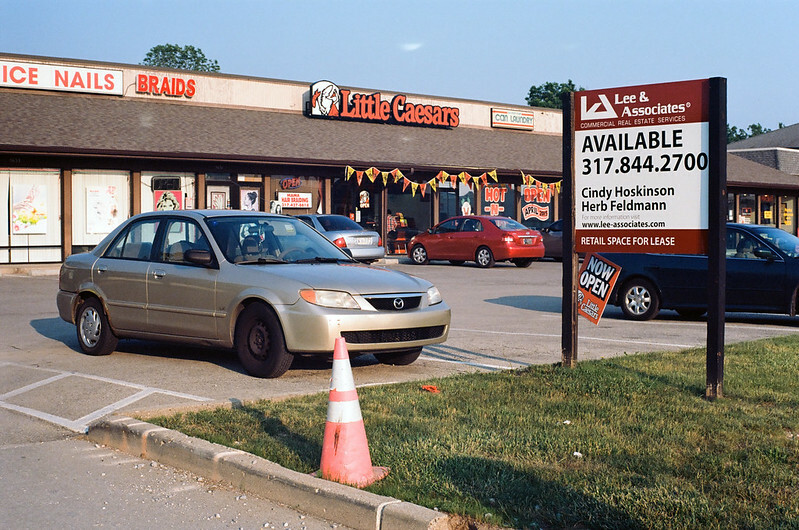 This strip mall has seen happier days, but all is not lost as it recently attracted a Little Caesars. The coin laundry closed, however. I’m bummed; it’s where I used to wash my bedspread, which doesn’t fit in my home washer. The nearest coin laundry is now considerably farther away. All is not skittles and beer with my Sensorex II, however. 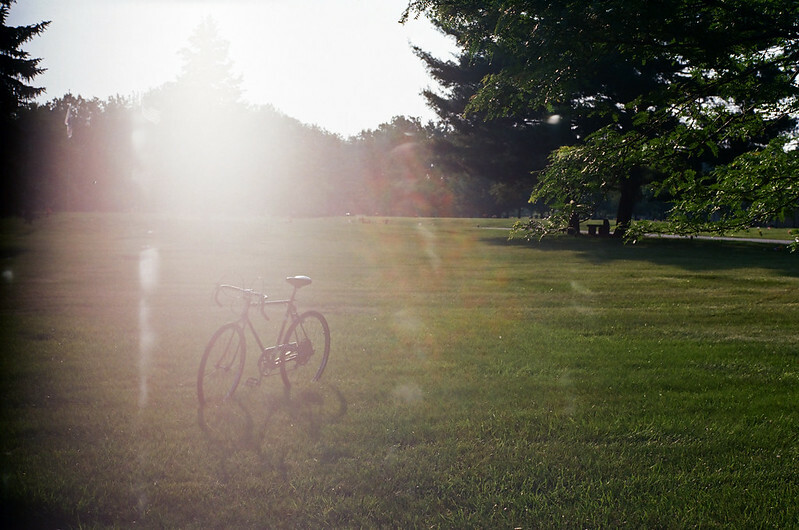 Sometimes the shutter drags at one end of its travel, creating a dark area on a photo’s left end. Also, several photos had this light spotting. These artifacts appeared on about a third of the photos I took. I cropped out the dark area when I could, and used Photoshop’s spot-healing tool to remove the spotting. 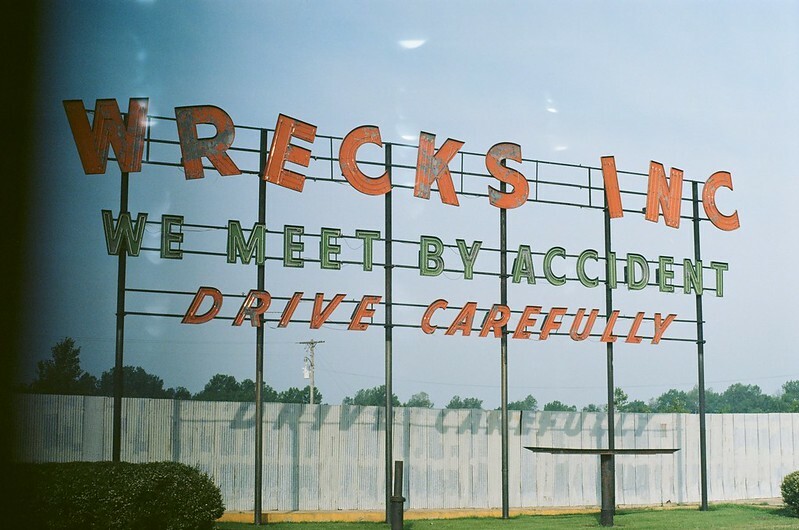 This shot was beyond saving because the dark area encroaches upon the W in Wrecks. But when this camera hit, it hit home runs. See more photos in my Miranda Sensorex II gallery. I buy and shoot old cameras because I enjoy the experience. When one I’m testing misbehaves like this Sensorex II, I usually just shrug and move on. When I shoot seriously, I have an embarrassing wealth of outstanding, fully functional cameras to choose from. 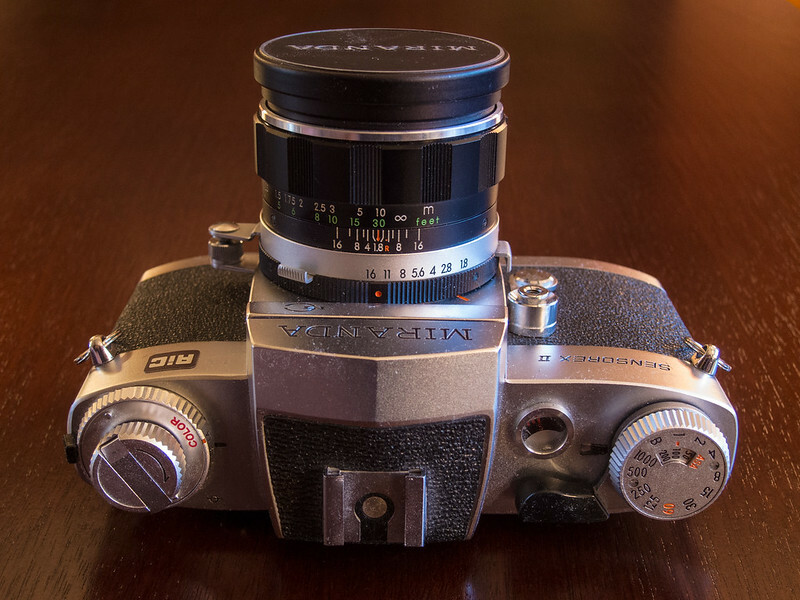 But I really liked this Sensorex II for its quirks, its solid build, and the lens’s interesting smeary bokeh. As I shot my test roll, I imagined this camera among those I keep using just for the pleasure. But no camera joins that select group if I can’t count on it. And unless a repair is dead simple, I generally don’t do it. All is not lost. Because Miranda cameras are overlooked, they go for very little. As I write this, I find a dozen Sensorex II bodies available on eBay for less than $50, and a few for less than $25. The entry cost is low enough that if I ever want to shoot this wonderfully quirky camera again, I’ll just buy another and be off to the races.